UK full license op. Soldersmoker (the L is not silent). HF. Datamodes all when the harmonic is sleeping. Can&apos;t be sure if my new QTH is in a really bad location for 2m/70cm, or those bands are just dead as a door nail now. Every time I tune in, nothing. Then yesterday I heard a club net 30 miles away, which probably suggests the worst. Are there any show and tell pages of #hamradio antenna setups? Looking for ideas to plan ahead before investing in hardware. Totally forgot about the 3x 1/2 λ resonance, so took me by surprise when I accidentally broadcast to a 70cm repeater through my homebrew 2m dipole and got a better match than I often do on 2m band. Nice! #facepalm at people openly admitting to illegally using Baofengs w/o a license in Amazon reviews. Ok ignorance is a thing but it&apos;s not helped by some self identified M0&apos;s there wrongly claiming that they are ok to use on PMR. On the plus side my son started crawling further than ever today, the motivation to do so was reaching for my Baofeng across the room. He even managed to turn it on after acquiring it, I think he might be coming down with "the knack"
Is Amateur Radio on Life Support? I hear OFCOM have started dishing out M7 call signs to new foundation licensees. Better to bag a new prefix than ignore them as falsely assumed pirate! I picked up a RTL-SDR dongle around 2013 and happened on a 2m repeater scanning the bands. Had no prior contact with ham radio before and my interest was piqued. I went along to my local club who helped me get M6FCY & 2E0DQI 2015. Joined BBADL in 2017 and got M0TDN. I enjoy the learning, practical/EE elements to the hobby mostly but as an Operator I&apos;m still rather new and very time poor due to new baby and moving twice this year but it&apos;s a long race. Dropped by my club for the first time in ages (due to my relocation), nice to see the new venue is working out, training is doing great and they&apos;re even looking at buying a radio! Things are really shaping up and gives me hope for the future of the club. Managed a quick test of my new 2m dipole from the 1st floor bedroom instead of the loft where it&apos;s more convenient to set up a basic shack, but couldn&apos;t get into GB3MI from there so looks like the extra elevation made enough difference for geting over the nearby hospital building. Dinner was ready by the time of my club net however so I didn&apos;t get a chance to test simplex but if the repeater results are anything to go by I probably didn&apos;t miss much, maybe next week! After Sunday&apos;s miserable performance on the club net. I hacked together a basic dipole using some thick galvanised wire I had lying around. Not very easy to work with so tuning would be challenging. No need to worry, first test gave a 1:1 match on the upper half of the 2m band! Put out a call on GB3MI which is in the area of my club members, no response but I could RX myself via hackgreen websdr and gave myself 59, FB! So I finally attempted joining my club net for first time after moving QTH 30 miles south, I now have a very large building to immediately to my north which blocks everything. Can&apos;t get much from 2nd floor so tried from the loft, RX was more reliable but TX still very poor. 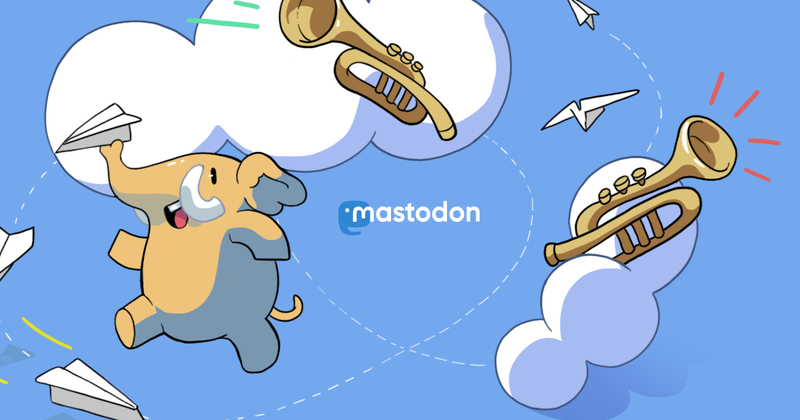 If you&apos;re new to Mastodon, you might be interested in alternative web clients like Halcyon (https://social.dev-wiki.de/) for a familiar Twitter-like experience, or @pinafore for something new, clean and lightweight. Both connect back to your instance here, they just present your account to you in a different way. I really hope the ham Twittersphere will see sense and move to the fediverse, it&apos;ll mean I can finally rid myself of my last accounts on proprietary social networks and be free!